Enroll Here to register your child for these awesome events. These are hands-on classes where students construct and build characters and motorised models from LEGO® Bricks. 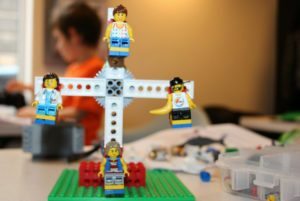 While at the class, everyone will receive the B4K experience, children will enjoy a variety of brick builds, project builds and activities. Everyone will create and make their very own Clayrazy themed model to take home. JOIN OUR AFTERSCHOOL PROGRAMMES – REGISTER NOW!! Students will work in a safe environment, using LEGO® bricks with an integrated curriculum based on math and science. The material covered in each session will vary depending on students’ ages, experience, and skill level. 10am Each Saturday sees our new club for ages 5-12yrs, only £6 per session when booked as a course. Come along and enjoy 1hr of bricktastic fun fun fun! Each term provides an opportunity for the children to engage in building and constructing with LEGO(r) Bricks, themes selected from our extensive programmes list, such as; Mission to Space, Amazing Animals & Ticket to ride. 10am-12noon – your children can enjoy a 2-hr session, for both Bricks 4 Kidz and Clayrazy only £10 for the 2hrs. So alongside the above Saturday club, the children can stay for an additional hr of Clayrazy creative fun. Using this soft air drying clay, the children can unleash their creative side, using their imagination to help them make a fantastic clay creation to take home. Social interaction, improve on concentration and working as a team member. Helps improve listening and comprehension skills.